With our pricing system the more SMS units you buy the cheaper the price. The validity of the SMS purchases is unlimited, it does not expire. There is no maximum limit for units you may purchase at any time. We offer the most affordable bulk sms services in town, below are the various prices for different packages for prepaid bulk services. Bulk Messaging is the most form of modern communication which is fast, convenient and affordable to mobile phones users. It is used by Hotels, media companies, schools, enterprises, banks, Forex beaural and individuals for a variety of purposes including Wedding messages, Clan meetings, entertainment, etc.With our advance system installed, messages can be scheduled to be sent at specific times with no point of failure and delay in delivery both at national and international level to all mobile networks. NOTE: These prices apply to Uganda only, for our international customers all your billing is done in Euros. Our Vision is to be Uganda’s most successful IT/Bulk sms company,to build our clients into abrand with the most efficient and affordable communication platform which narrow the communication gap between Business, organizations, individuals and the other parties. Our mission is to give Business, organisations and people the power to communicate and bring the world more closer by providing innovative Bulk sms services that are cost effective. To achieve this mission, transparency, customer care and support services will continue to be of utmost importance to us. Developing a fast, affordable and most convenient system of communication enjoyed by users through use of their mobile phones via SMS. 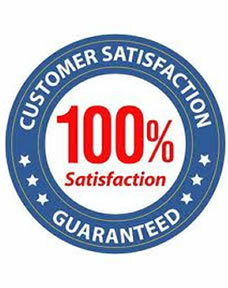 Our focus has been formulated out of the need to create more value for this service and satisfy current market dynamics, and all stakeholders’ interests As part of our efforts to help our pool of clientele realize their full potential and equip them with a competitive edge, we constantly upgrade our system that allows our users to send bulk SMS without any point of failure .we have served numerous clients from different sectors: corporate businesses, government agencies, non-governmental organizations, academic institutions, individuals, churches as well as professional bodies. At E-media Communications Ltd, we specialize in producing wedding videos in all parts of Kampala and the surrounding areas and district that you would want to watch over and over again. We want to create, capture all your best memories and help to make them last a lifetime. Each wedding is unique and demands the utmost attention to detail. Shooting weddings often call for the most challenging shot, and angles. Circumstances can change at any moment and your wedding videographer must be ready to react. Our philosophy when filming weddings is to remain unobtrusive, professional, and aware. This allows us to capture the sights, sounds, and emotions of your perfect wedding day in a truly professional manner. After all, planning a wedding is a challenge. With all the stresses that are involved in organizing and planning it, most couples feel that they don’t remember many parts of it. That’s why at E-media communications Ltd we provide our clients with the highest quality images for digital video. When it is all said and done, we allow our clients to enjoy the excitement as it actually happened. You can relive your friends and family celebrating your love and commitment for years to come.